A new roof was required at an Industrial Plant, that builds pipe racks and modules for the Oil and Gas Industry in Western Canada. Layher Keder system was used to clear span 135′, with the help of a triple deep box beam, constructed out of Layher 750 Truss Beams. 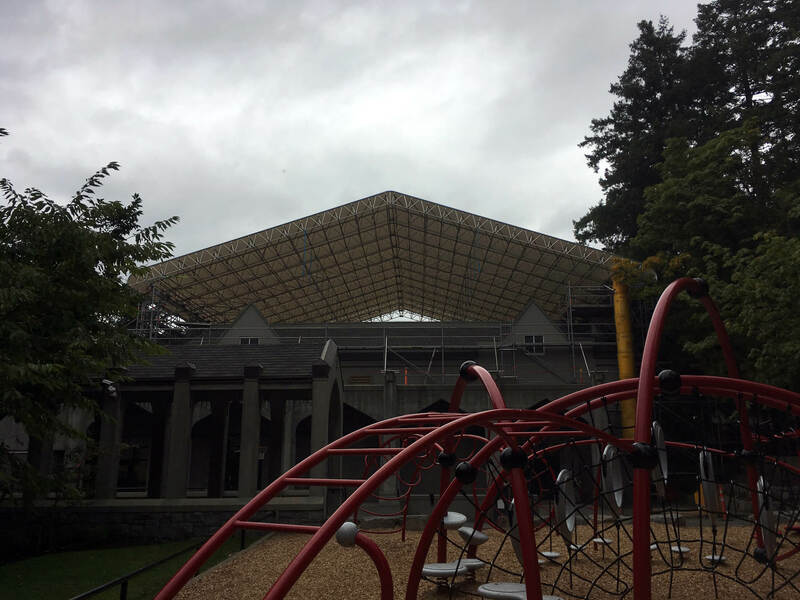 Skyline designed, built and engineered the structure, which also included a 2000lb material hoist for the movement of materials from the ground, an Aluminum Layher Comfort stair tower and a debris chute system to remove the old construction materials to the bins below. This system allowed the roof to be replaced in record time, and with no lost weather days, even in the middle of winter! 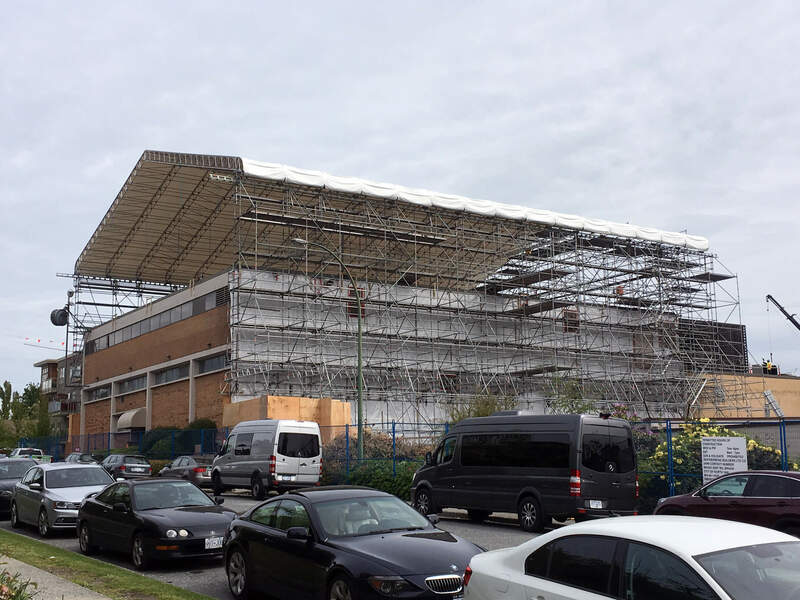 Contact us about our industrial scaffold services or to request a proposal for your civil, commercial or industrial project in Vancouver or further afield.